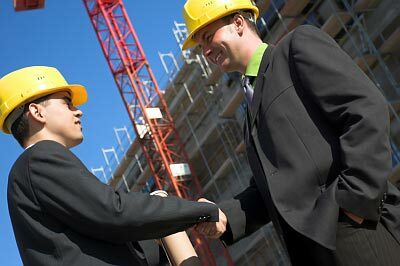 Our clients rely on our lawyers’ extensive, hands-on experience in a full spectrum of construction related matters. Utilizing a background in construction and engineering, we have successfully represented the interests of a variety of clients involved in the construction field, including architects, engineers, contractors, subcontractors, materialmen, roofing companies, warranty companies, and property owners. Our construction practice is as varied as our clients. We believe that it is in the best interest of every client to proactively manage and protect its interests throughout the various phases of the construction process. First and foremost, the primary interest of any client is to avoid litigation if possible. To that end, our services to construction clients ranges from counseling in the contracting process to minimize litigation or lien exposure to securing the abilities to protect lien rights and the ability to prosecute lien matters. Design professionals have particular needs for legal counseling that we are particularly well-suited to provide. Among our trial lawyers is a Registered Professional Civil Engineer, and we have years of experience representing one of the nation’s largest engineering consulting firms. Whether the issue involves service agreements or claims of professional malpractice, our team will work diligently to bring about the best possible resolution for our construction clients. In the event that a formal dispute arises during or after construction, our clients can rely on our wealth of experience in cost-effective resolution of construction disputes, whether through litigation, arbitration or mediation proceedings or pretrial settlement. These efforts include both the defense and prosecution of contract, tort and lien actions arising from the construction process.